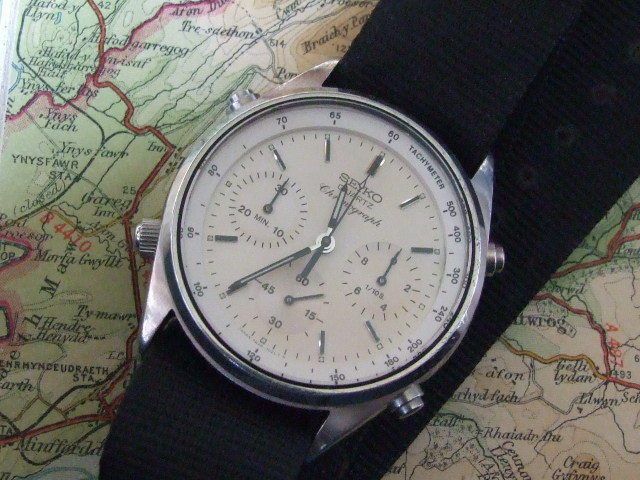 Forum Home > 7Axx General Discussion Area > 7A28-7020 Stainless White Dial Chrono' - Military Connotations ? 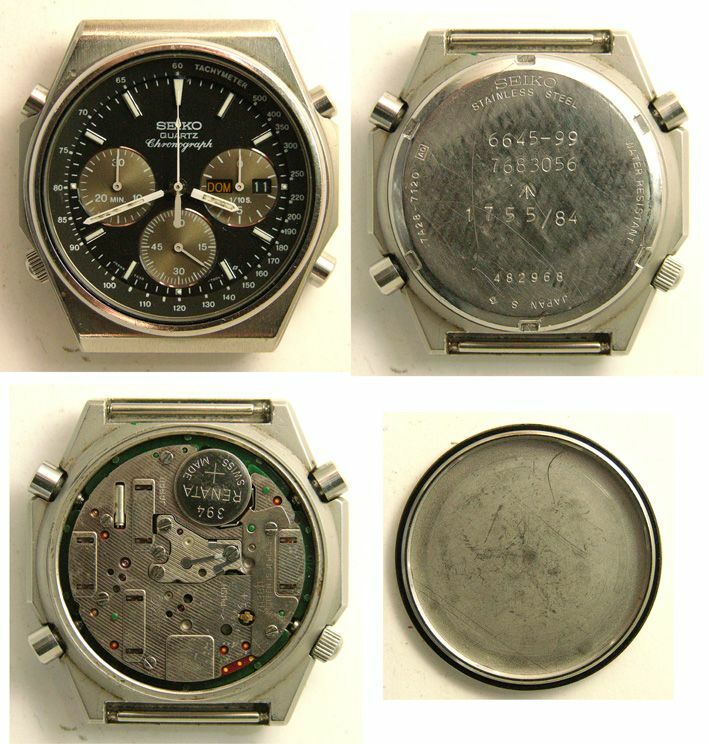 An example of this watch recently sold on the UK eBay site. It was advertised as having come from a lot of MoD surplus items bought by the seller, and it bore British issue marks, including the pheon. Has anyone ever seen a white dial with MoD markings before? Does anyone know which service might have been issued them? The only 7A28s I've seen or read about are black dial models, issued to the RAF or--in a non-lume version--to submariners. Thanks for any replies. i recently bought a 7A28-7120 that was issued in 1988 to the RAF. 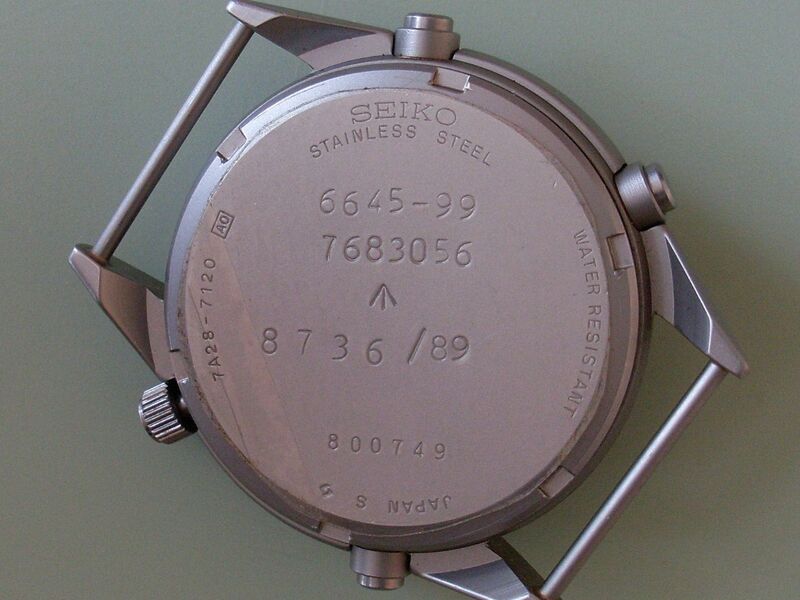 In response to an email, Seiko New Jersey responded that they are able to service these watches, which is reassuring. However, how long they will be able to do so seems to be an open question, since there are limits to the availability of both parts and modules I should think. Would it be a waste of money to buy an NIB 7A28-7029 just to have a good module against a possible future failure of the one in my 7120? I welcome your suggestions on the advisability of doing this? I look forward to what I'll learn from this site and its contributors. All functions work well and the watch keeps good time. Here's a couple of the photos. The reason I ran a search on MWR first (before replying to your post) was not to find your MWR thread, but another similar stainless white dialed 7A28-7020 with pseudo military markings that I seemed to remember being posted on MWR some years back. I first posted this here when I got it about 7 or 8 years ago. it came in a bunch of other Mil Seikos, 12 or 15 of them that I bought from a surplus dealer & I paid (at the time) almost nothing for them. This is what makes it unusual (the case-back markings). The engraving on the back is classic for the Hydrographic Service of the Royal Navy, the engraving style matches other pieces from the same source. The number on the back is also the serial number, this is done when the RN buys watches in quantities too small to be allocated a NSN. Almost always purchased from civilian sources. As of now, this is the only HS version of this watch to surface; I would love to hear from anyone else who has one & see their case back. Major thanks to Don Aldo who provided me with the main clues. That MWR thread is worth reading in full, for the various subsequent opinions profferred. Me ? - I remain 'neutral' on James' example. This other alleged 'Military issue' 7A28-7020 which appeared on eBay last week ? Personally, I'd say it was just a rather cleverer-than-average fake, fabricated to catch out a less-than-savvy Military collector. You'll see that the NSN stock number (6645-99) 7683057 is one digit higher (than 7683056). Smart move on the part of the seller. But apart from that clever little subterfuge, compare the number fonts - they're completely the wrong typeface, especially 4, 6 and 9. Also where the engraver made a little slip on completing the lower loop of the 8. Not only that, but what might at first appear to be fixed spring bars on the 7A28-7020 are actually 'Universal' spring bars (like these) - probably the 18-24mm size, which have been over-compressed beyond their normal maximum limit to fit the watch's 20mm lug width. While I'm in cynical 'military bashing' mode, I must admit I had a quiet chuckle to myself at Bobsy's petulant post in your thread. I can predict what the reaction would be, same as in this thread. My take an them ? Initial reaction is that they're not very clever 'Military' forgeries. Somewhat De-Militarized Seiko Raf Gen. 1 Movement. A very clever bit of ‘Creative Marketing’ on eBay. 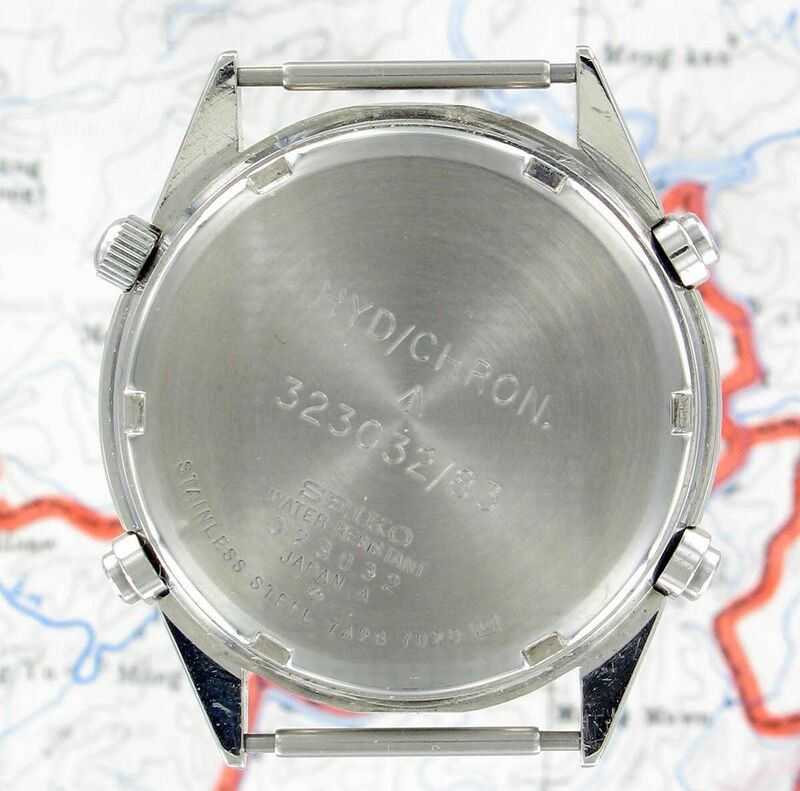 Not only are that seller's two NOS 7A28-7029's grossly over-priced @ 500 bucks apiece (tired beaters with well-worn gold plating, but still mechanically sound can be found for as little as $50 on eBay in the States), but NOS watches can themselves be problematic. It depends a lot on how they were stored. If left with batteries fitted (and regularly replaced), and running, it's less of a problem. However, if they were stored with batteries removed, the 25-30 year old original oils in the jewels may have gone sticky, and the watches can sometimes be very reluctant to get going again (without a strip, clean and re-oiling). Speaking from experience. 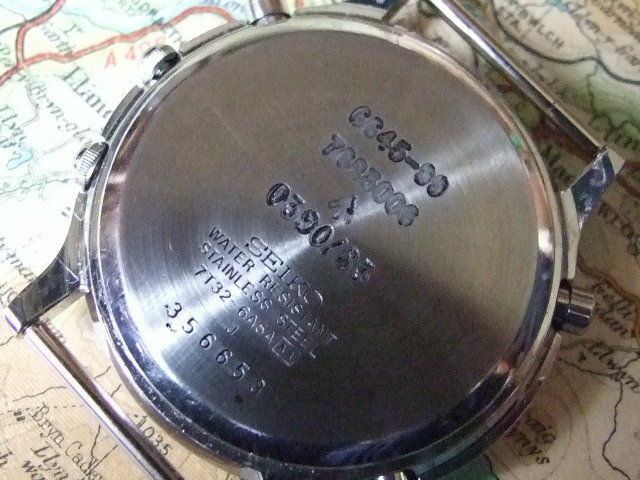 Seiko7A38, thanks for taking the time to provide this info. Did the white dial 7A28-7120 appear to be otherwise genuine? It wasn't a 'white dial 7A28-7120' (different watch case) but a relatively common-or-garden 7A28-7020 SPR007J - which was 'genuine' at one point (apart from missing its original bracelet) that's had its case-back engraved, to appeal to gullible 'military' watch collectors. 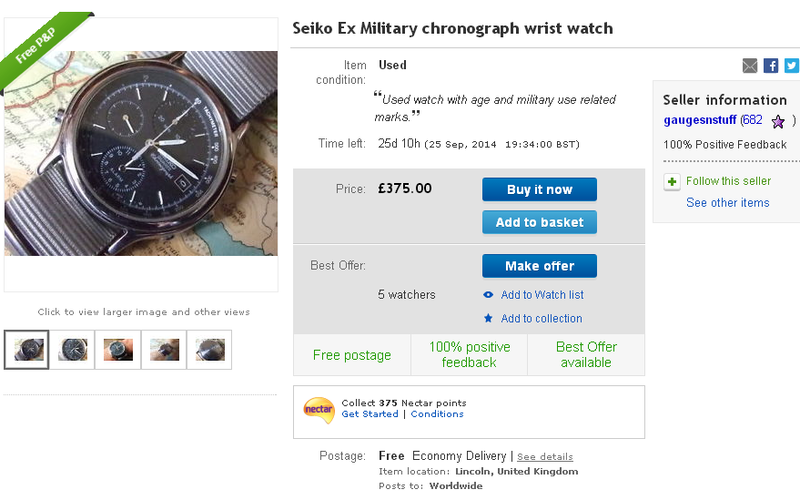 This watch is usually better known for its James Bond 'A View to a Kill' movie connection, frequently used as a selling point on eBay. 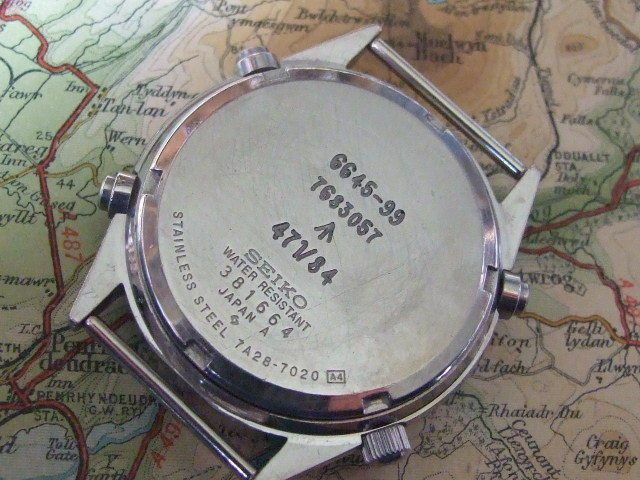 and: http://www.seiko7a38.com/apps/forums/topics/show/12824066-7axx-worn-in-movies- (first couple of posts). Once again, thanks for the response. Your info shows quite clearly that collecting in this niche corner of the market can be fraught with dangers. Caveat emptor indeed. Even Military watch experts like the revered author Konrad Knirim (http://www.knirim.de) can sometimes get caught out unwittingly. I can't remember which thread this was originally posted in, but I suspect it was on the RLT forum. Dave S. and I were quick to point out to Konrad that his 'flea market discovery' was simply a bog-standard civilian 7A38-7000 SAA007J that had been fitted with the case-back off a 7A28-7120 RAF Gen. 1. More detail further down our 7A38-7000 SAA007J model thread. Seemed a good place as any. Bought in by us along with a batch of CWC G10's from a well known military auction house. 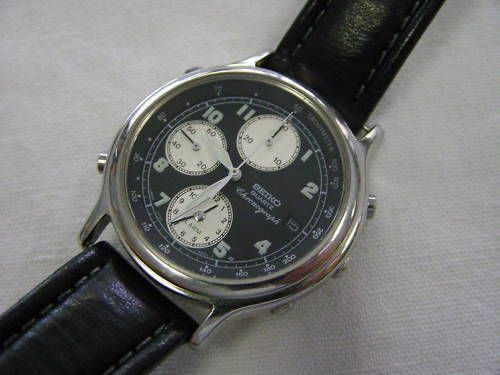 In good working order after having a new battery fitted and chronograph reset by SEIKO agent. The watch seems to perform correctly with all functions working as they should. 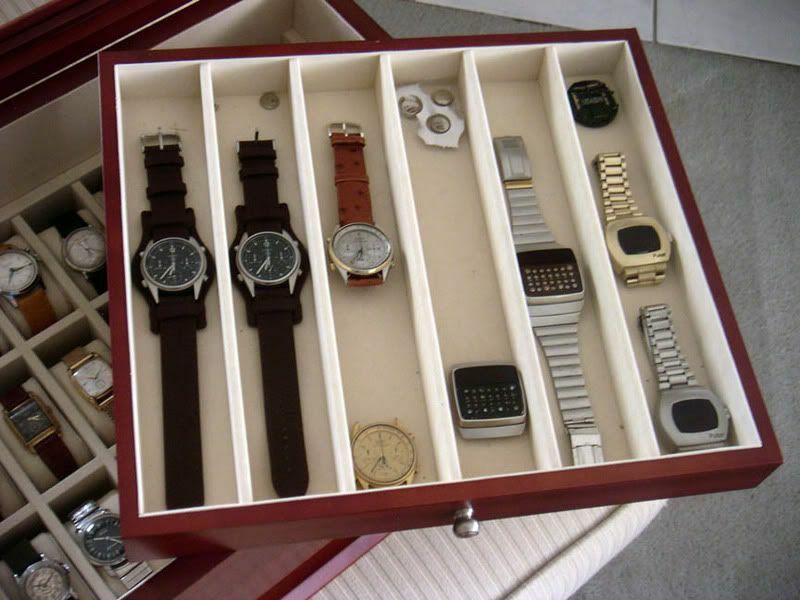 But as we have not had this watch serviced, we cant offer returns or our usual warantee. 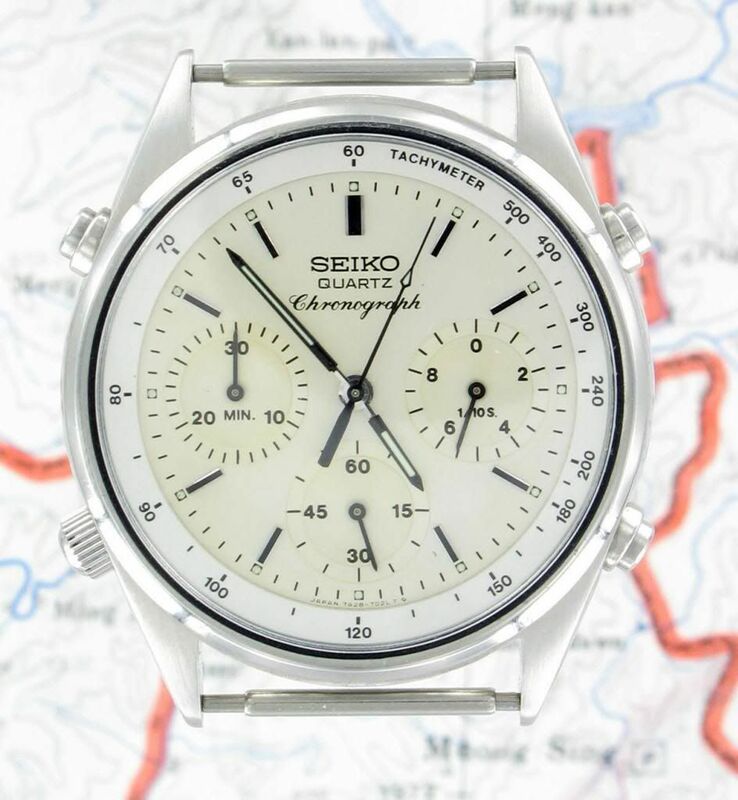 I'm advised this is a derivative of the SEIKO Gen 2 watch only having the additional benefit of an alarm /timer function. The military markings on case back are a little worn so to aid photography I have rubbed some ink into the letters! Exactly the same modus operandi / style of engraving they used for the previous stainless white-dialed 7A38-7060, right down to the over-compressed 'universal' spring bars (to give the impression of fixed bars). Except that this one is based on a cheap-as-chips 7T32-6A5A, the likes of which can regularly be picked up on eBay for under 50 Quid - as I suspect they more than likely did. I'd have thought they could have done a more convincing job using the alternate Arabic numbered dial version, but what do I know ? All it needs now is one 'military-minded' sucker. Perhaps you'd like to give them a 'heads up' over on MWR, James ?